Welcome to the first issue of the Aurora eNews! For long-time members of Aurora, the information in this newsletter may seem like old news; for those who have never heard of Aurora, this newsletter will provide a brief introduction to the program. For more information, visit the Aurora website at http://www.aurora-program.org. The benefit of road weather information systems (RWIS) is limited when road surface conditions between observing stations cannot be reliably estimated. Aurora investigated snow cover as it relates to the vegetation and terrain of the surrounding area. The results show that snow cover information from RWIS stations can be reliably estimated over long distances during low-wind conditions, but can only be estimated within similar terrain conditions during periods of high wind. Aurora will seek funding sources to develop a national center for testing winter maintenance and road weather monitoring equipment. Aurora will evaluate the costs and benefits of the Utah DOT’s Weather Operations and RWIS Program, a unique program that relies on in-house, customized meteorological forecasting services. 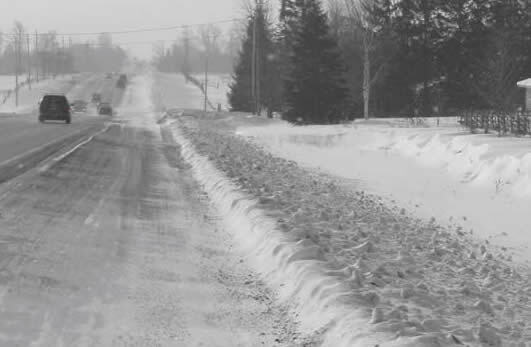 This project will evaluate environmental, safety, and cost benefits of a new generation of RWIS products and services that can be implemented to improve road maintenance in Ontario. For updates on these and other Aurora projects, see Ongoing Projects. 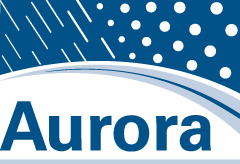 Since the formation of Aurora in 1996, more than 25 research projects on road weather information systems have been completed by Aurora members. The first projects focused on integrating systems and equipment to maximize the benefits of RWIS. Following are some of the research highlights from Aurora’s first ten years. One of the first projects undertaken by Aurora in 1997 was to identify obstacles to adopting road weather information systems (RWIS). The project documented institutional issues encountered by agencies in the process of planning and deploying RWIS and the measures taken to overcome any institutional barriers to RWIS implementation. Do RWIS provide an accurate assessment of road conditions? 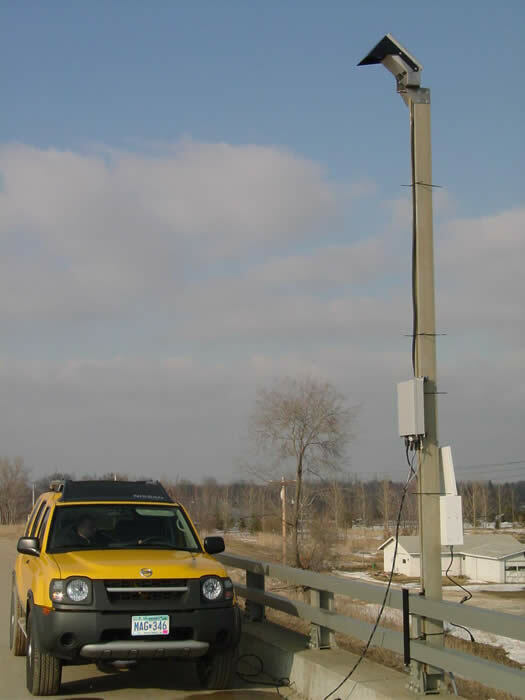 Aurora addressed this question in 2002 by evaluating two intelligent, image-based sensor systems to determine their accuracy in assessing road weather conditions. The systems proved to be highly accurate, matching the images to the correct road condition approximately 98% of the time. The Aurora program assisted with the implementation of Clarus, a federal initiative to develop and demonstrate an integrated surface transportation weather observing, forecasting and data management system. The objective of Clarus is to provide information to all transportation managers and users to alleviate the effects of adverse weather. More and more, Aurora is partnering with other organizations and initiatives to accomplish its research objectives. Below are two examples of recent partnerships between Aurora and other transportation- and weather-related agencies. For more information on current Aurora projects and partnerships, see Ongoing Projects. Aurora recently partnered with Clear Roads, the Snow and Ice Pooled Fund Cooperative Program (SICOP), the FHWA, and the Pacific Northwest Snowfighters to host a National Snow and Ice Peer Exchange. Representatives from 35 states attended the conference, which was designed to facilitate information sharing and research coordination among winter maintenance professionals. A report and website describing the peer exchange are forthcoming. 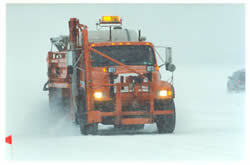 During the peer exchange, Clear Roads rolled out its national driver safety campaign, “Ice and Snow, Take It Slow, ” spearheaded by Dennis Burkheimer, Spring Operations Administrator at the Iowa DOT. Aurora is working with federal and state agencies to implement a Maintenance Decision Support System (MDSS) that will integrate state-of-the-art weather forecasting techniques with computerized winter maintenance practices. Using weather and road condition data, the system will help agencies determine the best way to manage specific weather events. The technologies developed and used in RWIS will have many uses in the future besides just road maintenance. 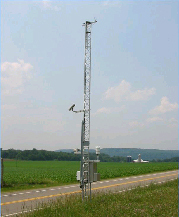 In the 2004 report, “Where the Weather Meets the Road,” the National Academies envision a road information system of the future that provides weather, safety, and travel information to roadway users where and when they need it by using dynamic message signs, vehicle telematics, intelligent transportation systems, and sensors embedded in the roadway. Through its research projects and partnerships, Aurora can be a key player in the road information system of tomorrow.